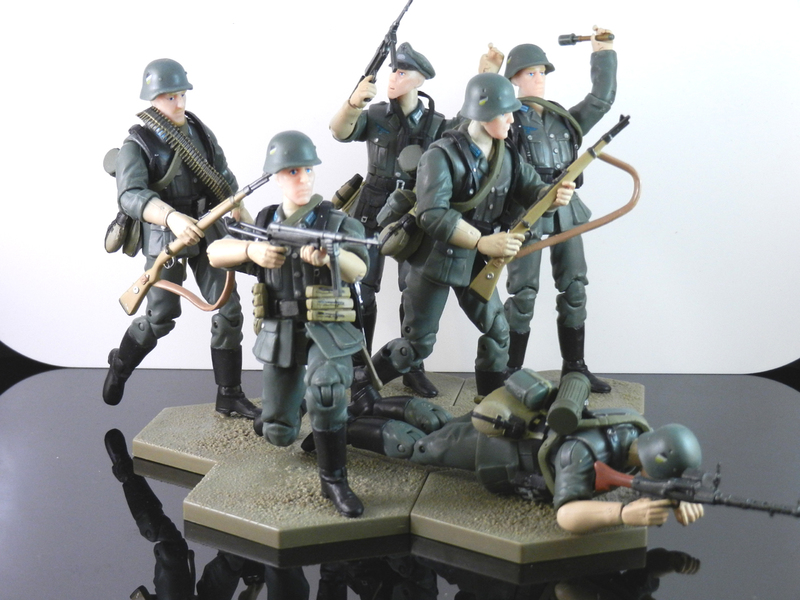 X Review: OurWar German Rifleman-B | The Fighting 1:18th! We’re going to start off day 2 of the OurWar German reviews with the Rifleman-B. Again, I apologize if this seems to be a rehashed review, but with only a few minor differences between this and the other figures in the line, it’s better to use what I already wrote that says everything about these figures I can think of, while adding in a few tidbits about those things that make it a different figure as well. The fact I’m reusing sections from the other reviews of this line doesn’t mean I don’t like these figures, or just didn’t bother. There’s just only so many ways to say the same thing.